G.T. 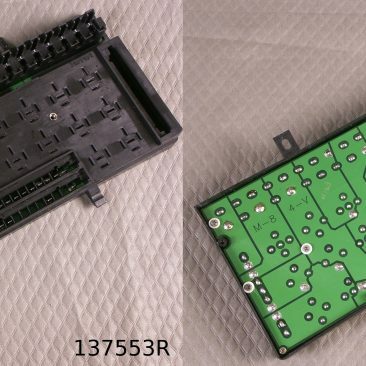 Car Parts provides re-manufactured, upgraded fuse boxes (also known as a fuse board or relay assembly) for many Ferrari models, sold on exchange basis. We replace the factory adhesive-laminated multi-layer circuit boards with a new single board that has a greater amperage capacity and is more durable than the original. We reuse the original plastic fuse box housing, which is why we sell these as re-manufactured rather than new items. If your housing is damaged, in most cases we can provide a good used one from our stock at additional cost. Manufactured exclusively for G.T. 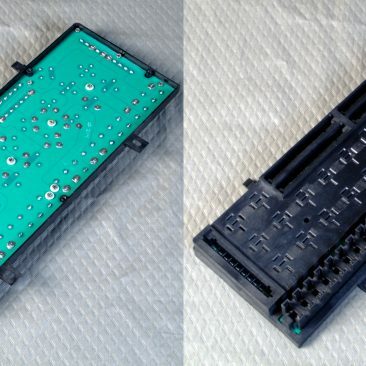 Car Parts, all our re-manufactured fuse boxes use rigid modern PCBs with updated materials and revised designs. These boards address common failure points while maintaining original appearance and connection style. Our design eliminates common problems of burned out connectors/traces/solder joints caused by original design flaws, vibration fatigue, peeling board layers, and/or corrosion between layers. Installation is exactly the same as the factory unit. 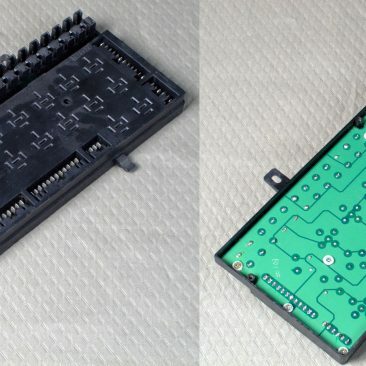 Our boards do not require any modifications to factory wiring or connectors. We do suggest that when installing a new fusebox you should evaluate the condition of your existing factory wiring harnesses and connectors. Cleaning and replacement of wiring harness components as needed will ensure best performance from your new fusebox. Please browse a selection of remanufactured fuse boxes below. We can provide you with a fuse box for these models and many others.